Moms Love us! Read their TndrBOX experience! 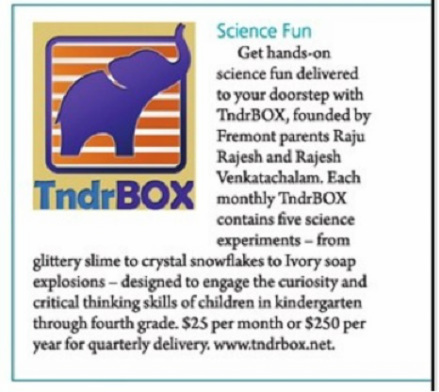 TndrBOX is featured in Bay Area Parenting magazine! Pick up a June 2013 East Bay issue and check out page 10 under "Things We Like" section.